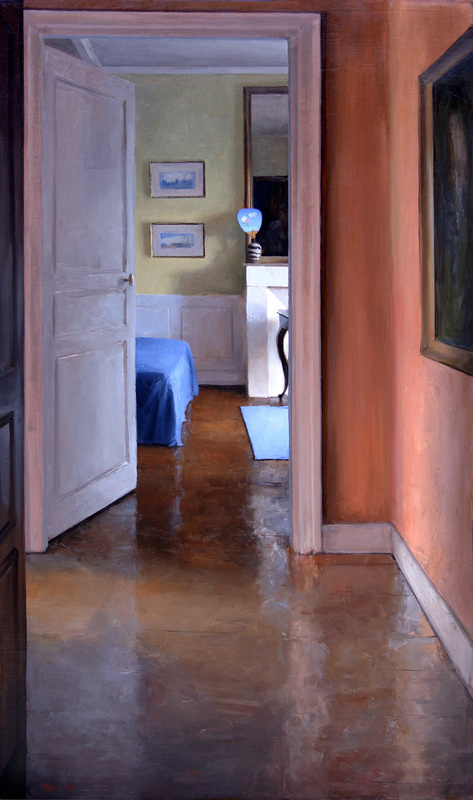 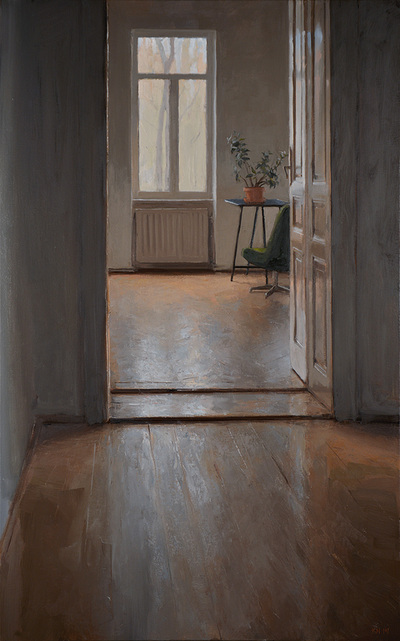 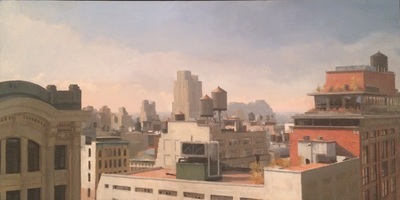 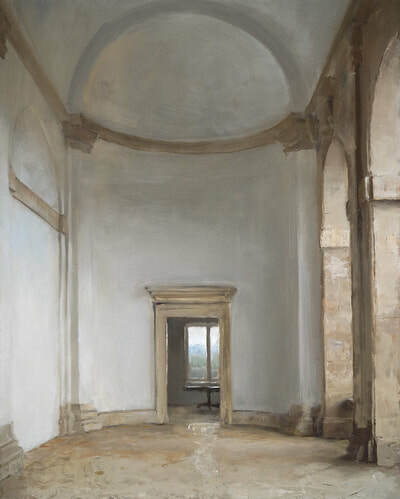 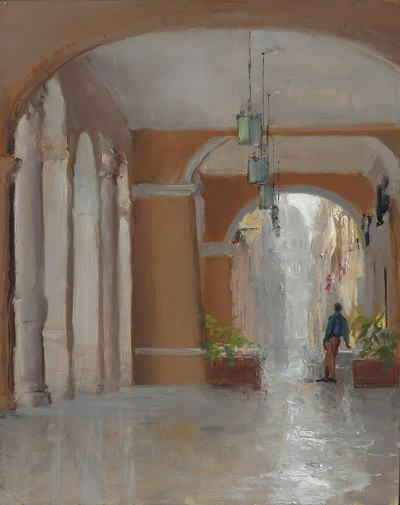 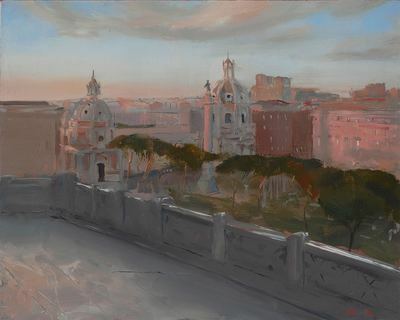 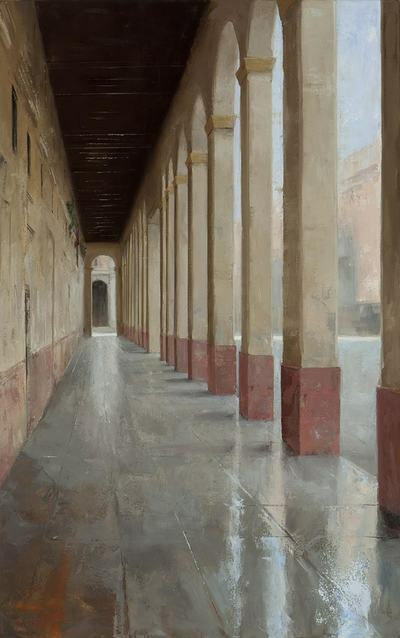 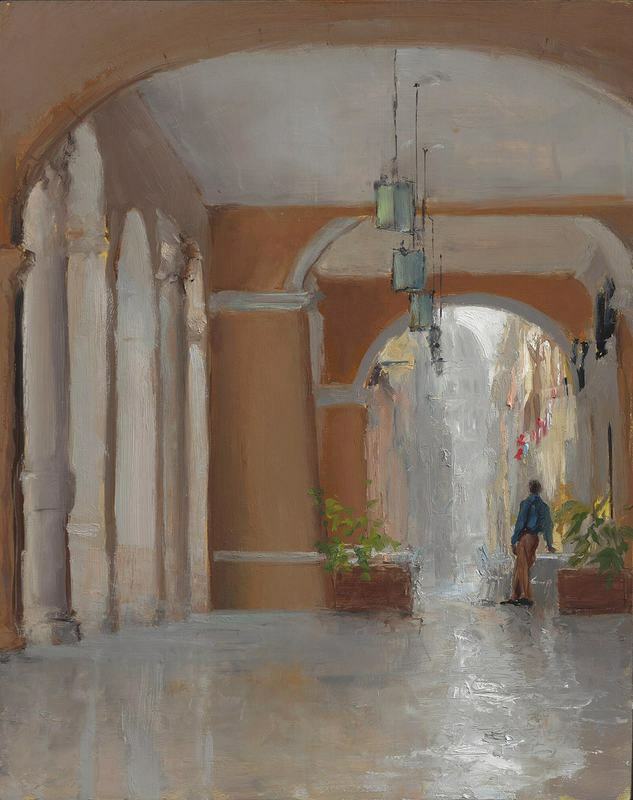 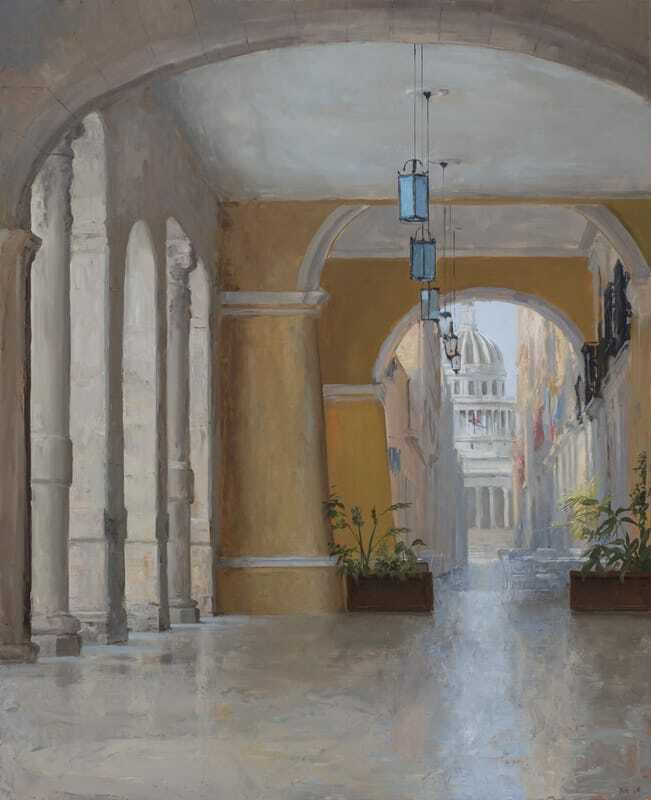 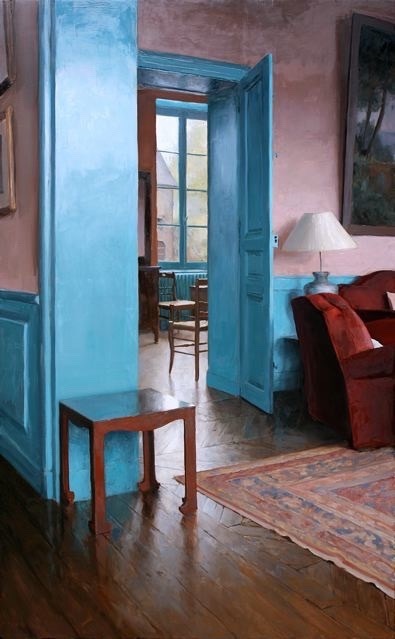 Kenny Harris’ new paintings evoke the light and mood of architectural spaces from his travels around the world. 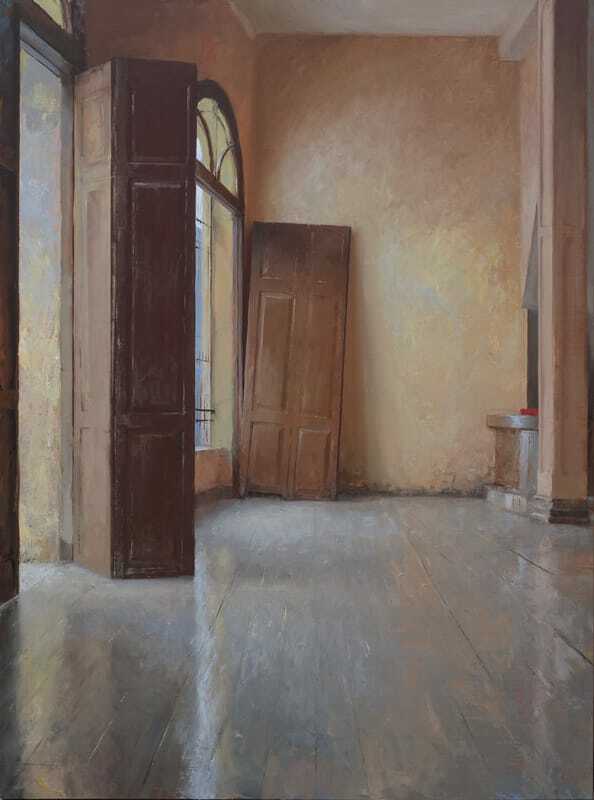 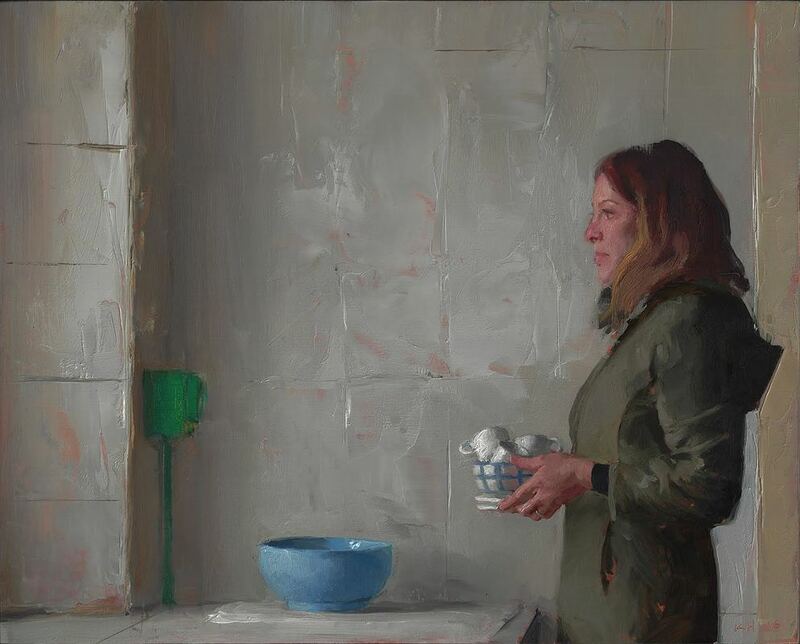 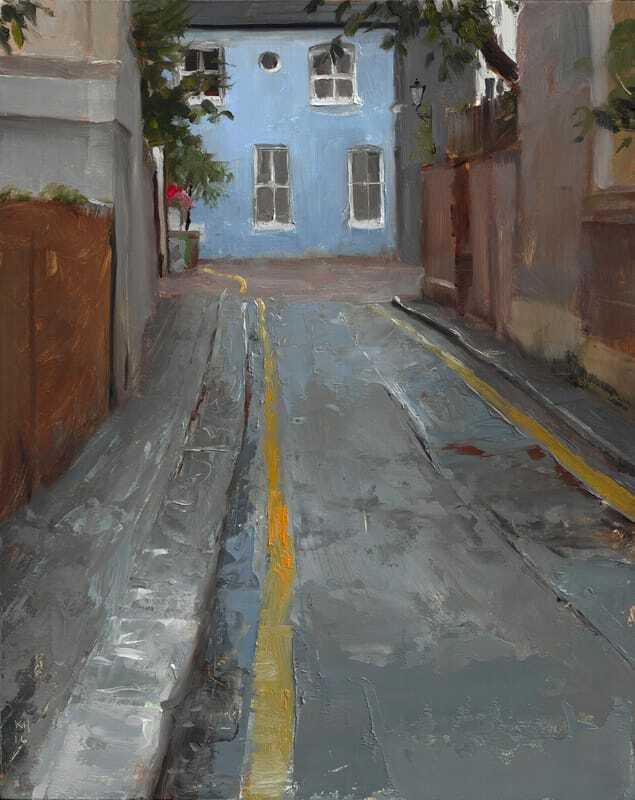 He is fascinated with subtle light effects and expressive painterly surfaces, focusing on interiors or cityscapes. His dynamic paint application describes the way light pours through a space, with scrapes and impasto embodying the texture of the surfaces depicted. 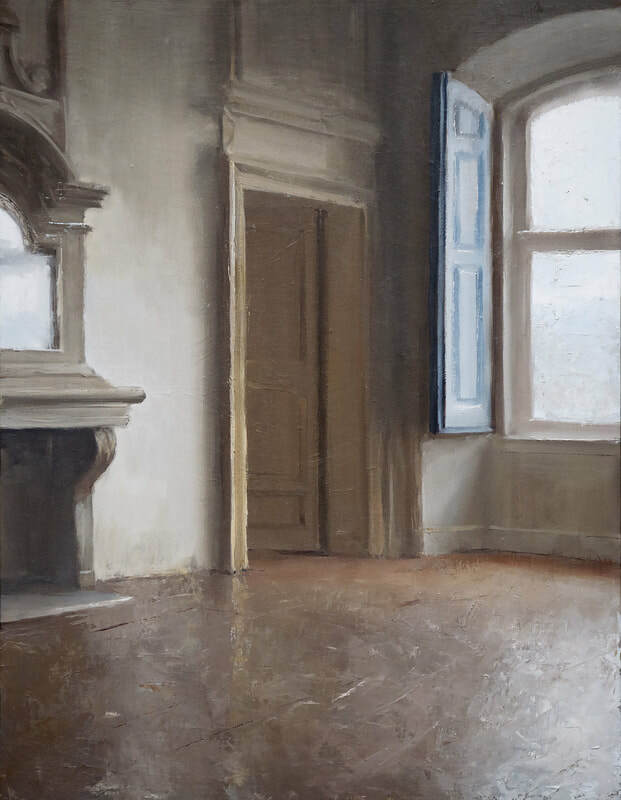 The paint itself becomes plaster and wood, or a glint of light reflecting off a dull surface worn smooth with age. 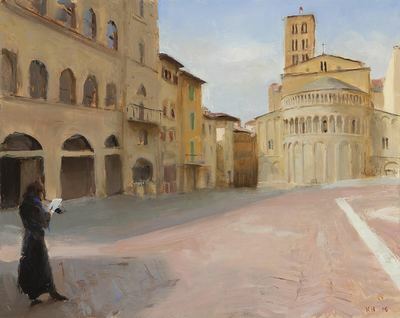 The locations chosen for these paintings span the globe from Lisbon to Italy, London, Paris, Havana, and Istanbul. 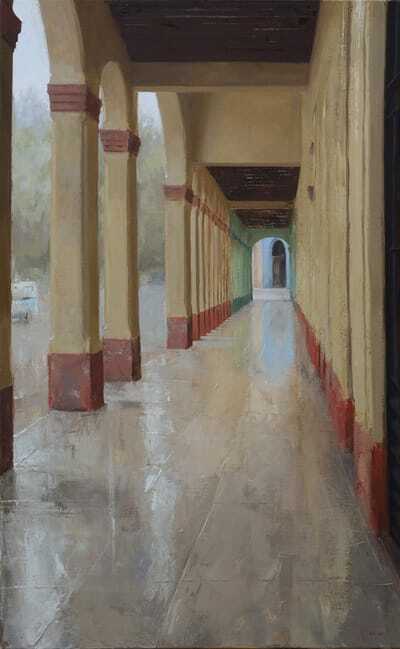 Harris has been traveling and painting for many years, and this body of work reflects the many disparate spaces that capture his eye for light and texture. 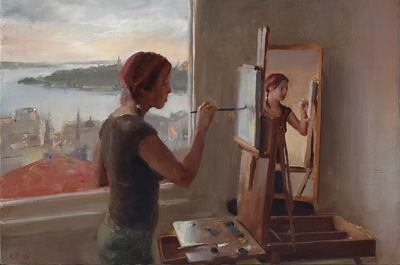 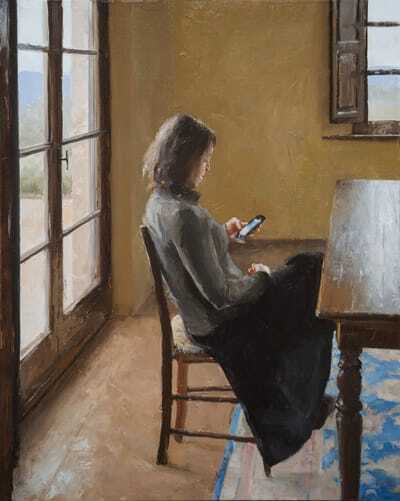 His wife, fellow painter Judy Nimtz, appears in many of the small paintings—in the act of painting at her easel or in other quiet moments. 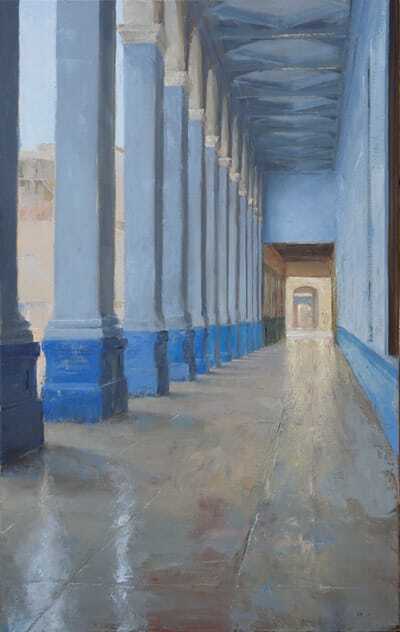 For his large compositions Harris chose to focus on Havana, Cuba as his subject. 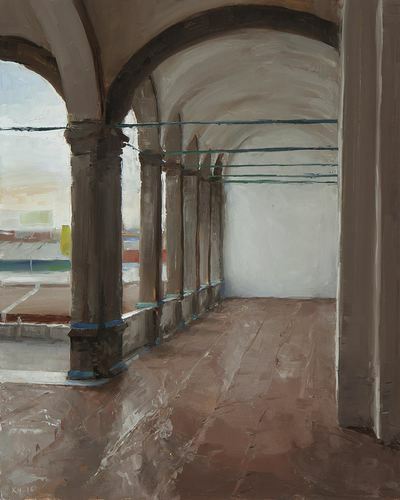 The colorful emptiness of it’s arcades and interiors evoke a stillness charged with meaning. 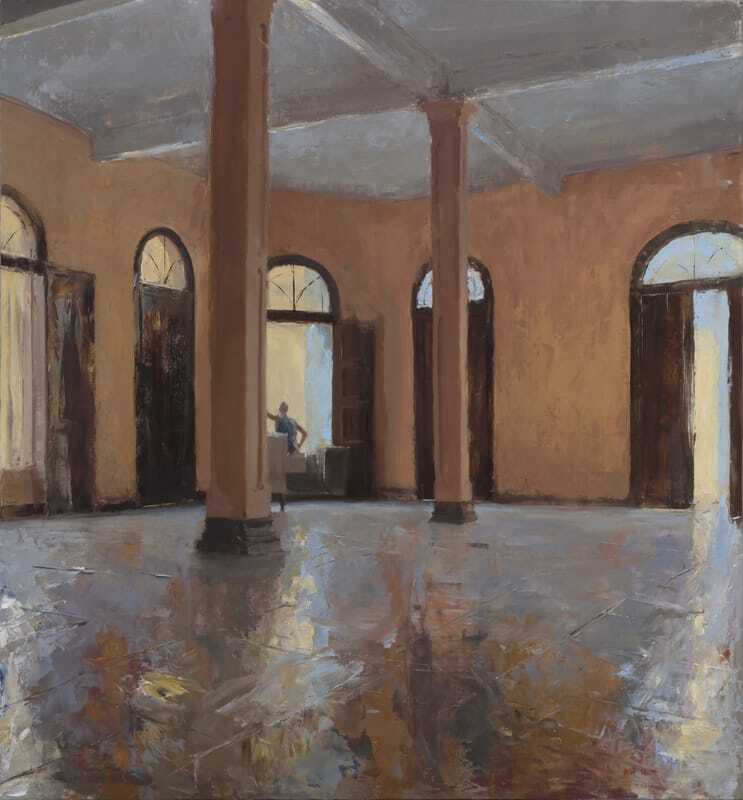 The Cuban people are waiting in anticipation for what is to come, and these empty spaces are emblematic of this suspense. Harris’ paintings are at once both modern and nostalgic.